Have you ever had a great big idea for a product or service? Something bigger or completely different from what you’re doing now? Do you ever wonder what your life would be like, if you pursued that idea? This week we’re chatting with someone who had an idea in architecture school inspired by the technology he was using every day. He decided to take that path and pursue his passion. 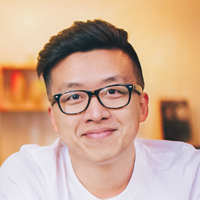 This week at EntreArchitect Podcast, we go From Architect to Tech StartUp with Qi Su of Modelo.io. From childhood, Qi was surrounded by structural engineering, architecture and design, and artwork, and eventually decided to major in architecture – his second love behind soccer – at University of Southern California. He then pursued a degree combining design and computer development through Harvard University. It was there working with the different softwares that he had the inspiration for Modelo. Modelo is a browser-based building and design collaboration and presentation platform for architects, engineers and general contractors offering trial-based hosting, management, communication and presentation services, allowing you and your clients to visualize, and markup 3D models through any browser no matter the CAD service you use. March ’14: Qi was accepted into an accelerator, sort of an ecosystem for startups to launch and develop your idea, the company officially launched. April ’14: Since it was important to Qi to have someone to bounce ideas off of and collaborate with, he found his partner and co-founder, Tian Deng, to join the Modelo team. September ’14: The first prototype was released to much excitement from users. January ’15: After fundraising and pitching to investors, funding was received and they were able to hire people to grow the team. January ’17: Development of the software will be completed and ready to launch. Visit Modelo.io to sign up and try it for free!